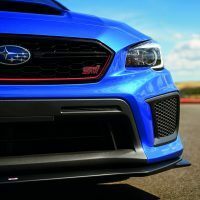 Subaru, like many Japanese car companies, has a habit of making limited run, special edition, slightly tweaked versions of its already hot cars. 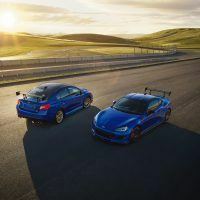 Most of the time, those are for the home market only, but now Subaru, maker of all things rally-inspired, has decided to let a limited edition of their already hot-rodded WRX STI lose on American shores. Hence the 2018 Subaru WRX STI Type RA. I know, this sounds like a great thing, and it is, but a lot of these further-stroked hot rods are kind of made up in their specialness. They all seem to be saddled with these silly and unwieldy monikers, for one thing, and differences are usually slight at best. They seem to exist for the main purpose of dreadfully complicated parking lot discussions: “No, this is a Daggan Advan Kyoto Edition STI ZZR2 SpecVR-3. It’s totally different from the Daggan Advan Kyoto Edition STI ZZR2 SpecVR-2.9, it has harder rear sway-bar bushings.” Ugh. Luckily Subaru has not done that with what they’ve just brought to America. 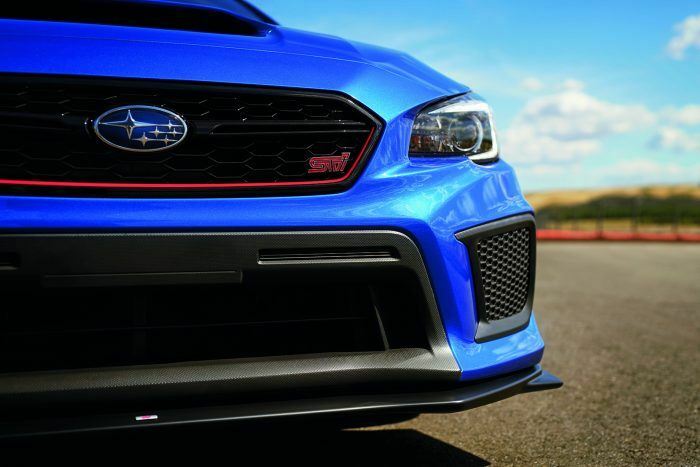 The 2018 WRX STI Type RA is more than just a trim package. It delivers a higher level of performance thanks to weight reduction, suspension, and engine upgrades. It comes standard with a carbon fiber roof panel, the spare tire is gone, a carbon fiber pedestal wing is added, and lightweight BBS 19-inch forged alloy wheels hold up the corners. 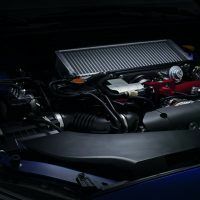 Powered by the 2.5-liter turbocharged flat-four engine Subie enthusiasts know and love, the output has been bumped up to 310 ponies, thanks to a new cold air intake, high flow performance exhaust, a retuned ECU, and stronger pistons. The 6-speed manual transmission has a revised 3rd gear ratio and a short-throw shifter. 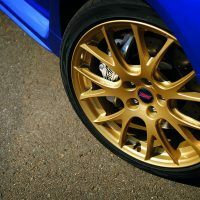 The Subaru WRX STI Type RA has an upgraded Bilstein STI sport-tuned suspension with special dampers, an inverted-strut front suspension, and a double wishbone rear suspension. 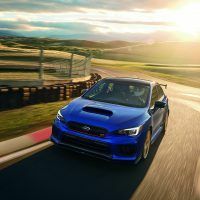 A reworked Multi-Mode Vehicle Dynamics Control (VDC) system gives the WRX STI Type RA an enhanced level of stability. 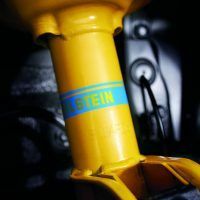 The VDC system is paired with Active Torque Vectoring, along with a major brake system upgrade for 2018. Specifically, it’s a Brembo setup with stronger monoblock 6-piston calipers in front and monoblock 2-piston calipers out back. The rotors are cross-drilled all around, and the new brake pads get you greater surface area for better brake feel and fade resistance. Oh, and the calipers get a silver finish so you can show off just a little bit more. Speaking of showing off, the Subaru WRX STI Type RA comes with an exclusive Cherry Blossom Red accent around the front mesh grille. Subaru has added an STI front underspoiler and new rear bumper too. 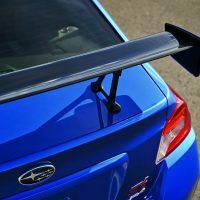 The roof-mounted shark fin antenna and STI fender badges are now finished in black; the rear deck lid displays the Type RA badge, so the people you just passed know what you’re driving. The WRX STI Type RA comes in three colors: WR Blue Pearl, Crystal Black Silica, and Crystal White Pearl. The one you want is World Rally Blue! The cabin is just as eye-catching! The Recaro front seats feature red bolsters and stitching as well as an embossed STI logo on the head restraints. That red stitching and accent trim is also used throughout the cabin. The steering wheel is wrapped in Ultrasuede for better grip and has a special center spoke insert with an STI logo. There’s a push-button start with Keyless Access, standard. There is also an individually numbered plaque mounted on the center console, because Subaru is only making 500 of the WRX STI Type RAs. 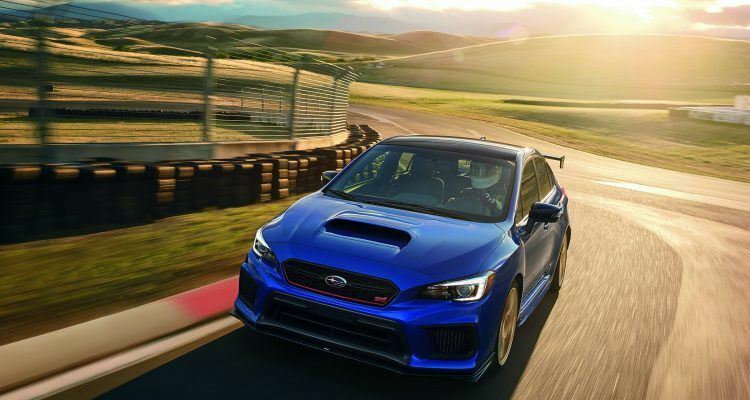 Anyway, the 2018 Subaru WRX STI Type RA is a lighter, tighter, better handling, and quicker accelerating version of the anything-but-normal STI. If the 2018 Type RA sounds like your kind of deal, better get in line now. 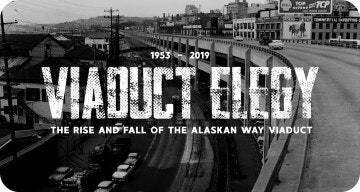 As I mentioned earlier, production is limited to just 500. 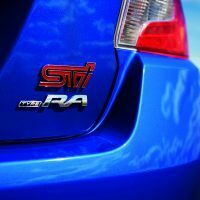 Expect to see the WRX STI Type RA at Subaru retailers this spring. And if you’re looking for something a bit lighter, cheaper, and of the rear-wheel-driven variety, Subie also just released the info on their limited edition, high performance BRZ tS over here. 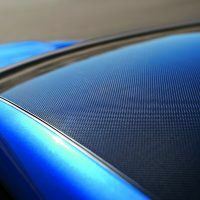 Photo & Source: Subaru of America, Inc.
No Comments on "Subaru Announces Limited Edition WRX STI Type RA"